Click on the section you would like to view. One-stop early voting is now open in all 100 counties of North Carolina. The early voting period, which continues through tomorrow (November 3), is the last opportunity for North Carolinians to register to vote this fall if they have moved since the last election. North Carolina Health News queried all of the candidates running in Congressional districts in North Carolina on a series of health care-related questions. Their responses are segmented by geographic region. See what candidates running for office in western North Carolina, central North Carolina, and eastern North Carolina, had to say. Increase Home and Community Care Block Grant funding by $7 million in recurring funding. Maintain the current General Purpose funding for Senior Centers and increase the funding by a recurring $350,000. Increase funding for Project C.A.R.E. (Caregiver Alternative to Running on Empty) in 2019-2020 by $500,000, and in future years increase funding by 10 percent annually for expected growth. Make available $7 million in recurring funds to meet the growing need for Adult Protective Services and conduct a comprehensive evaluation/review of these services to ensure this protection is adequate. Enact legislation which establishes either a mandatory standardized hours per patient day or minimum staff-to-patient ratio for direct patient care in nursing homes, including enforcement of standards and consequences to ensure quality care in homes in the state, regardless of whether they are for-profit or non-profit organizations. According to data kept by the N.C. State Board of Elections and Ethics Enforcement, there are a total of 7,005,682 registered voters in the state. Of those, 2,664,789 are registered Democrats, 2,092,166 are registered Republicans, and 2,211,421 are registered as unaffiliated. There are 522 registered Green Party voters, 352 registered Constitution Party voters and 36,432 registered Libertarians. Mecklenburg County has the most registered voters in the state at 732,510. Tyrrell County has the fewest registered voters, with 2,419 registered voters. The U.S. Department of Labor (DOL) announced that it plans to issue proposed regulations "to determine the appropriate salary level for exemption of executive, administrative and professional employees" in March 2019. As you may recall, many nonprofits were concerned that the Obama Administration's 2016 overtime regulations - which were ultimately blocked at the last minute by a federal court - would have created significant new costs for their organizations. Other nonprofits appreciated that the DOL's 2016 overtime rule would have raised pay and reduced working hours for many North Carolinians. The Obama Administration rule would have raised the minimum salary for exempt administrative, executive, or professional employees from the current level of $455 per week ($23,660 per year) to $913 per week ($47,476 per year). It is expected that the Trump Administration's DOL will likely raise the salary threshold to something closer to $35,000, which may alleviate many of nonprofits' concerns from the Obama-era proposed regulations. It is unclear whether the new regulations that will be released next year will also make changes to the duties tests and/or will clarify some unanswered questions about whether certain types of nonprofit employees are properly classified as administrative, executive, or professional employees. Harvard Business Review researchers point to six leadership skills where practice is particularly important. These are not mysterious and certainly aren’t new. However, the leaders they talked with emphasized that these fundamental skills really matter. Aspiring leaders should focus on practicing these essential basics. Click here to read more. Business leaders can use 'loglines' to clearly explain a complex idea. If mastered, this can be a powerful and influential tool. But communicating your point in a simple, digestible way is hard. It’s actually easier to add clutter to business presentations than it is to eliminate unnecessary details and condense. Though mastering the logline is challenging, there are steps you can take to do so. Click here to read more. Empty-nester + young adult = perfect roommates? A pair of MIT urban-planning graduate students are providing a way for older people, who increasingly are living alone, to stay in their homes as they age by pairing them with young adults who are looking for affordable housing. Whether such arrangements can work on a broader scale still remains to be seen, though the concept is attracting attention. Click here to read more. The LeadingAge Center for Aging Services Technologies (CAST) introduced its first-ever toolkit devoted to safety technology for use in long-term and post-acute care environments. The five-part resource educates members on the breadth of available devices, applications and services available to help improve safety, sense of security, peace of mind and quality of life and care for older adults and their caregivers. The toolkit includes: a whitepaper, an interactive guide, an online product selection tool and a product selection matrix, both comparing 34 products from 18 vendors, and case studies from providers utilizing safety technology. Check out the toolkit by clicking here. There are several transportation providers catering to older adults that could be useful on voting day, and some are not dependent on having an app on a smart phone. Click here to check out a list of some options. Operation Medicine Drop (OMD) is a partnership of many agencies and the NC Department of Insurance which provides safe disposal of medications without endangering the environment and eliminating the risk of these drugs getting into the hands of children or others from medicine cabinets of family and friends. The first OMD takeback event was held in 2010 and since that time, OMD has collected nearly 130 million pills, supported over 3300 events, and houses more than 250 drop box locations. If interested in holding a takeback event in your community, click here for information. If you have questions or need additional information, contact Lisa Blackmon at the NC Department of Insurance at (919) 647-0080. The CDC has published new estimates of the number of Americans with Alzheimer's Disease online in Alzheimer's & Dementia: The Journal of the Alzheimer's Association. This is the first study to forecast by race and ethnicity and reveals disparities along both lines. It is predicted that by 2060, the burden from Alzheimer's disease and related dementias (ADRD) will double. Click here to read the full study. There are changes in Medicare Open Enrollment notifications in 2018. The Medicare’s Open Enrollment Period (OEP) started October 15th and ends December 7th. This is the time of year where Medicare recipients can re-evaluate their coverage to make sure they are still enrolled in the best plan for their needs. With the changes occurring this year, it is important to stay abreast of all the notices provided. To read more about the notifications changes, click here. This is a room-by-room checklist that highlights potential hazards in the home and suggests changes to help keep a person with Alzheimer's disease safe. Examples include covering unused electrical outlets with childproof plugs, placing light switches at the top and the bottom of stairs, and keeping all medications (prescription and over-the-counter) locked. The National Institute on Aging suggests re-evaluating home safety periodically as behavior and abilities change. Click here to read more. In an effort to keep our contact information current with our members and their staff, we request that you notify Jennifer Gill as soon as possible when you have significant staffing changes (i.e. staff leave or new staff arrive). Tom is adding speaking engagements to his calendar thanks to members who are calling to request him on their meeting agendas. As a free member service, he is available to offer trend analysis presentations and other topics for your constituents. Contact Tom today to discuss your needs or please contact Jennifer Gill in our office at 919-571-8333 for more information. 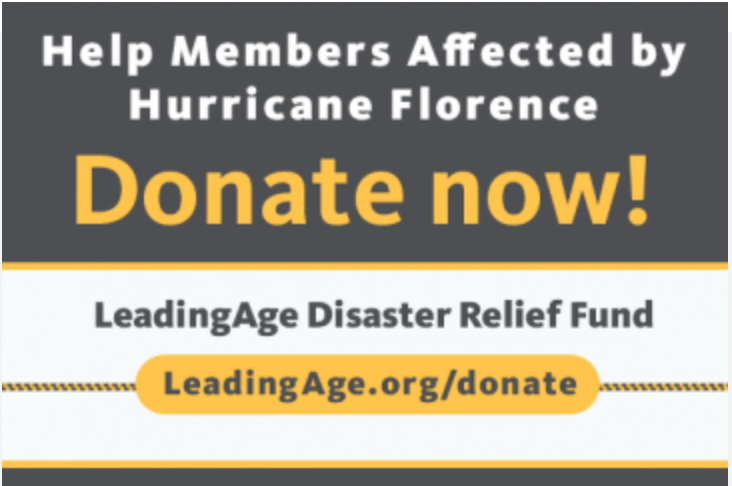 Information about LeadingAge national's Disaster Relief Fund – and how donations can be made – can be found by CLICKING HERE. Please let us know if you have any questions about the LeadingAge national Disaster Relief Fund. We’ll keep you updated about contributions, disbursements, and the process for seeking help. And, as always, thank you for your continuing commitment to those in need. LeadingAge North Carolina has created a page on our website dedicated to disaster resources: preparedness, response and recovery. If you haven't been to the page recently, please revisit, as North Carolina-specific resources have been added. Thank you to Bob Wernet, President and CEO of Deerfield in Asheville, for his service to the board since 2014. Board members of LeadingAge North Carolina are leaders of our nonprofit membership and volunteers who offer their time and expertise with the sole purpose of enriching the field. 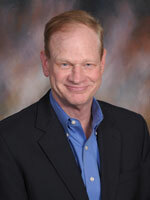 Bob serves on the board as past chair and we are so glad to share more about him. 1. Why did you become involved with LeadingAge NC? I moved to Asheville in the late '90s from Florida. I had been active with LeadingAge Florida and National. So it was natural for me to be involved here. 2. What makes our mission meaningful to you? Actually many things, I have developed so many meaningful relationships through LANC that I am sure will continue even after I retire someday. The resources and connections through LANC makes me and my organization better. On the education and public policy side, we are much more effective and efficient by working together to achieve common goals. LeadingAge NC is a great value for our members and has a very efficient and effective management team. They are the best!! 3. If you had unlimited resources, what is the one thing you as a board member would like to do for the population we serve? To effectively and efficiently serve those with less. I also believe that we are going to see more and more opportunities to implement technological advances that will enhance older adults lives as well as the ability to age in place. But the technology will initially be costly. 4. If you could swap jobs with a staff member for a day, what would you try? I like to cook, but cooking for several hundred people is a bit daunting. Our satisfaction surveys will likely take a hit, but I’ll have some fun for a day. 5. What do you do to relax, get away, to recharge your batteries? I generally like to do active things: I play in a doubles tennis league and attempt to play golf. I enjoy woodworking and repairing(and breaking) things around my home. I’ll watch youtube videos on home repair and try to save money and do the handyman work. Sometimes it works and sometimes I have to call in the pros to clean up my mess. We enjoy traveling with our daughter Kaitlin and Golden doodle Harvey. 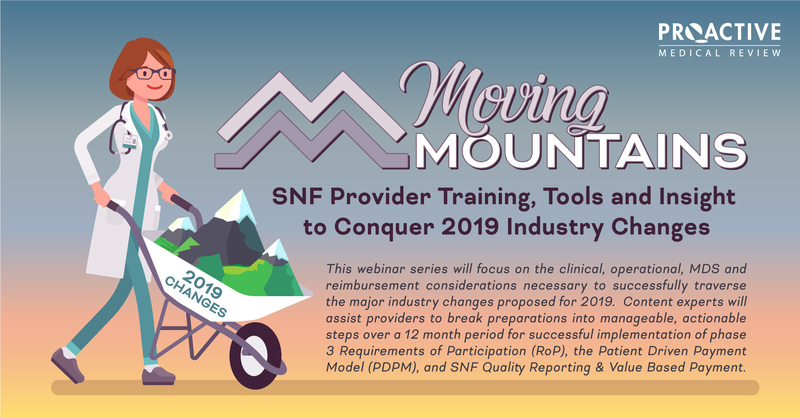 This webinar series will guide providers in implementing a step-wise action plan to manage the industry changes taking effect in 2019 including Phase 3 RoP (Requirements of Participation) and preparing for the reimbursement transition from Medicare PPS RUGs IV to the Patient Driven Payment Model (PDPM). Additional sessions may be added in the fall of 2019 based on member feedback and CMS updates. A group purchasing organization of LeadingAge North Carolina. 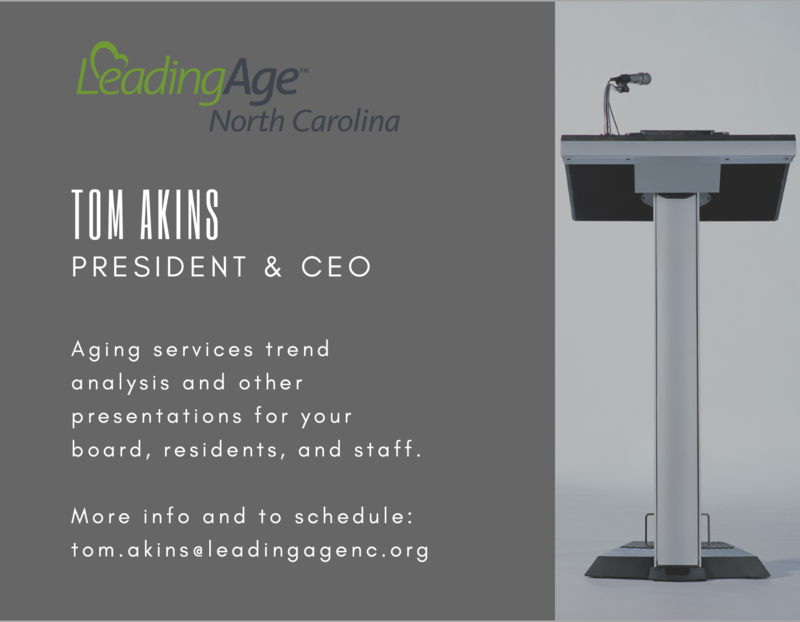 Linens are an important, but often overlooked, category when LeadingAge North Carolina members think about what is available through our Value First group purchasing organization. As with every contract members have access to, the goal is to save you money. Are you interested in any of the linen contracts below? Contact your Value First representative today! For additional information contact Value First representative Vanessa Ceasar at (404) 421-3956. Value First group purchasing organization is owned by LeadingAge. The GPO is designed to leverage the buying power of LeadingAge members across the country to get the best pricing on a comprehensive array of products and services. This is your GPO!